Back to trapping last night and after a dull and gloomy day with temperatures really struggling to hit 20 degrees under cloudy skies, the night was hopefully going to be cloudy most of the night. Indeed with lows of 16 degrees it wasn't bad at all but numbers have slowly dropped off recently but the new species keep on coming and 5 possibly 6 new for year's were observed and all being micros. There is still a potential Argyresthia glaucinella, a species I recorded in Bedfordshire 3 weeks ago for the first time. 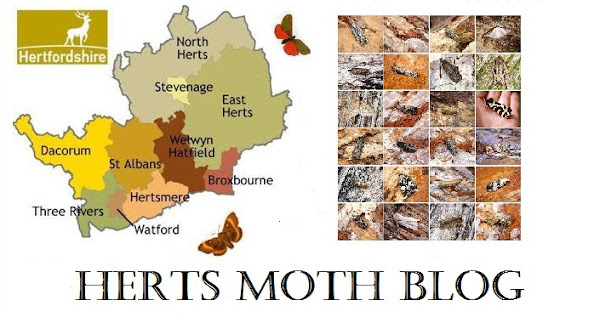 If this is right it will be the 3rd County record, it's such a tiny moth at 6mm long. But better still I recorded a new species for myself, Gelechia senticetella.